Version 2 (V2) SMAP Sea Surface Salinity (SSS) data are available from Remote Sensing Systems (RSS) at spatial resolutions of 40km and 70km. As is the case for the 40-km resolution product, the 70-km product is resampled onto a 0.25° fixed Earth grid using a Backus-Gilbert type optimum interpolation (OI). In the case of the 70-km product, the target cell of the OI is a circular footprint with a diameter of 70 km. Compared to the 40-km product, the 70-km is spatially smoother and the random noise is reduced by 60%. For most oceanographic applications, it is recommended that the new 70-km product be used. Data sets comprising the latest release include the Level 2C orbital data and two Level 3 (L3) mapped salinity products: an 8-day running mean product based on the repeat orbit of the SMAP mission, along with a monthly average product. All products are in the netCDF4 file format, and the L3 products are CF/ACDD metadata standards compliant. The formats of the 40km and 70 km products are the same. The SMAP-SSS V2 70km data sets are described and discoverable via the PO.DAAC data portal. 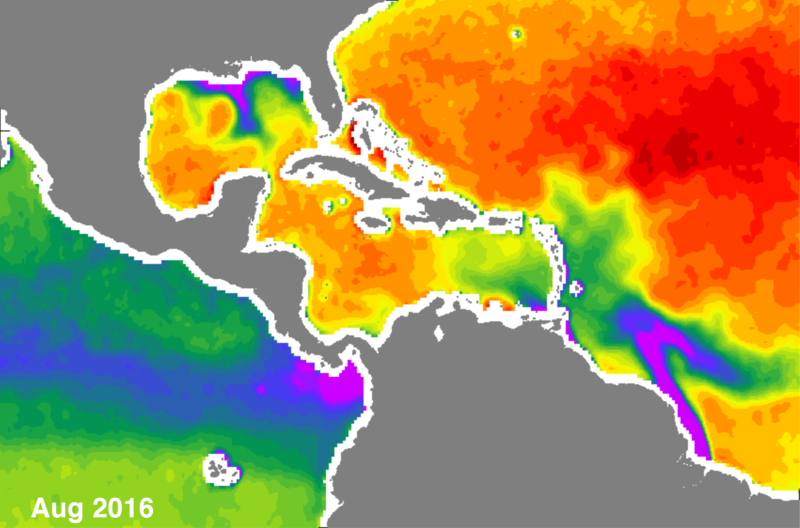 The RSS SMAP Salinity: Version 2 Validated Release document (release notes, SMAP ATBD (Algorithm Theoreotical Basis Document), validation analysis, and file specification document is available here. The data are also accessible via a range of PO.DAAC tools and services: OPeNDAP, THREDDS, PODAAC-WS and LAS. General information regarding the SMAP mission is available from the mission website and also via PO.DAAC's SMAP and salinity webpages. Map showing the influx of freshwater (purple hues) into the Gulf of Mexico from the Mississippi River following heavy rains in August 2016 (left panel). Right panel: normal outflow conditions in October 2016. 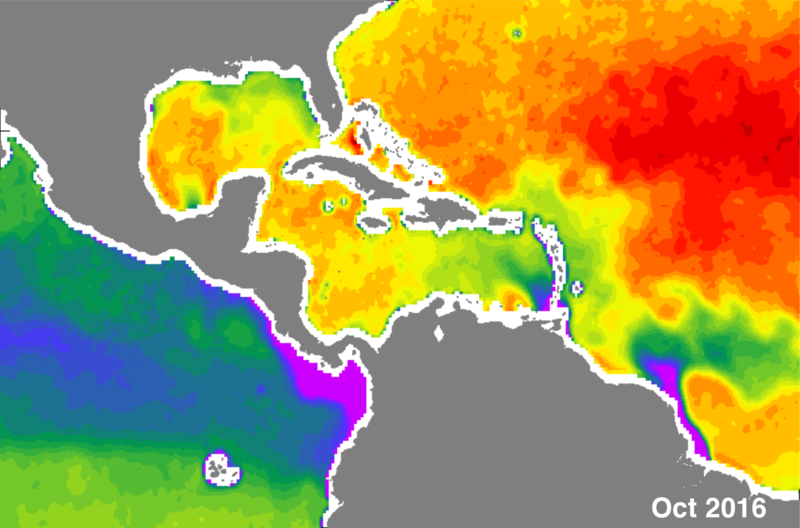 Changes in the Amazon River plume are also evident between these months. Data derived from SMAP-SSS V2.0 70km data sets and mapped using PO.DAAC Live Access Server.